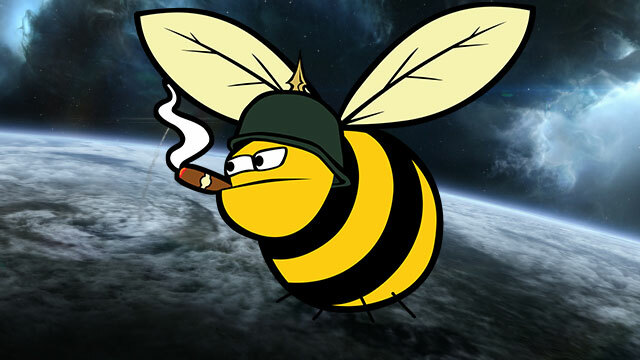 It appears that despite moderate gains in Pure Blind, the Imperium, or more accurately Goonswarm Federation (GSF) has decided to move on to newer, hopefully less badger-riddled pastures in an as of yet undetermined part of nullsec. This was not an unexpected development for some, who had been expecting it to occur since the initial falling back to Saranen, but it was surprising to me. I had expected Goons to obstinately fight and await the ‘cracks’ to widen. We had already seen some level of splintering of the forces of the MBC, with the Lowsec Voltron that had formed the tip of the spear completely imploding in late May/early July. Plus, it offers tacit admission that they have lost the war, or at the very least, this theatre of the war. This, more than anything, is something that I had not expected to be given. Not through any arrogance of individuals or sheer hubris, but simply because having to accept that there are challenges that the alliance cannot successfully face can shake an its confidence in their leadership, a force which can be highly degenerative to the authority of the alliance, even when the call made is undoubtedly the correct one. The direction of this new deployment is not yet known, and whilst I’m sure a great many are hurriedly plying the trade of secrets and spycraft to find it out, I am sorry to say that I have no grand insights or leaks to share regarding this. Still, this ambiguity has an interesting impact that I’m not sure is entirely beneficial to the goals of the move. The most immediately occurring thing being that every region barring the north-north and north-west are effectively put on notice that they might be in danger of being the next target region of what is still a very strong alliance. Even now I imagine that the smaller powers in these areas are quietly discussing anti-Goon defence pacts and the like, to ensure their own positions and the local balance of power for as long as possible until the more nomadic and dedicated elements of the MBC migrate to continue the battle in a fresh theatre. SMA – Almost completely collapsed with only a 300 man DUST corp holding it above the 500 man mark. CO2 – Turned to the side of MBC and holding a larger chunk of previously Imperium space. RAZOR – Functionally WIdot-ed previously with the acquisition of 4S and fully so with the leaving of both Roving Guns and Gladiators of Rage to MC. & CHAOS respectively. FCON – Left the Imperium on ‘good terms’ to find a new home within either the Vanguard coalition or Stainwagon depending on what day it is and who you ask. TNT – Seems to have kept relatively steady. BASTN – Down nearly 700 members this month alone. This leaves GSF almost entirely alone in terms of being a strong, self-sustaining alliance within the Imperium, and whilst I would expect them to still lug around the alliances and help them to not cascade to the point of actually becoming non-entities, even the façade of being a coalition of equals is now almost painfully obvious in its falsity to an outside observer. This will be done not for sheer bloody pride, but to ‘prove’ to any potential new allies that they will care for them even through hard times, which is a prudent choice. That said, I would expect it to be thoroughly mocked on reddit in the coming months. So, with that housekeeping out of the day, it’s on to the billion ISK question. Where might the Trail of Oregoon lead, and why would they be heading there? The west, especially the southern west seems to be a popular guess. There are many very fractured regions here, from Fountain, Delve, Querious and even Period Basis, all of which would be a challenge, but certainly not an insurmountable one if GSF can effectively transition the power they radiated from Saranen down to a similar staging location with access to these regions. The one issue that will be found here however, is the ease by which certain powers which plagued them previously will be able to rotate into these regions and provide support to the existing locals. Of all these regions, I would definitely say that Querious is most likely to be the target, especially if the famed Corps Diplomatiqué can peel away a member of the ‘Querious Fight Club’ onto their side, but Delve has fertile NPC null staging and Fountain a chance to strike at the edges of the HBC without fully engaging it. The near-south also holds some interesting targets for the migration, with Catch offering a chance to ‘get back’ at the alliance of LennyKravitz2, the man who funded the war, and Providence offering a chance at a good fight for beginning to rebuild confidence within the alliance and the side benefit of already having a great deal of war planning done for the region. 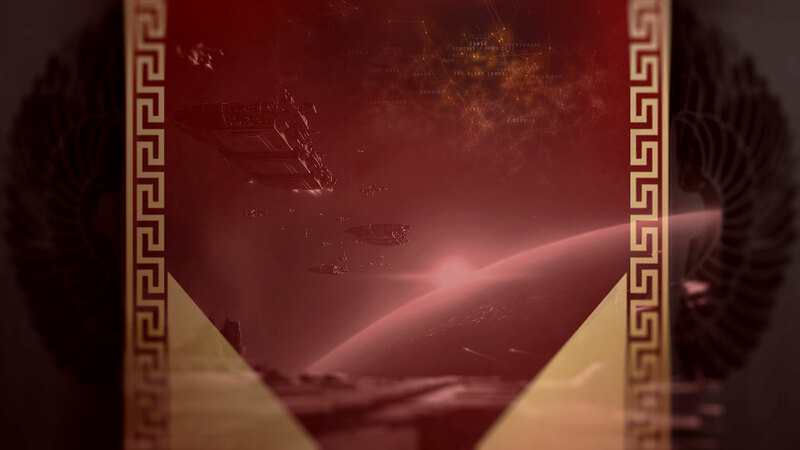 If either of these regions are chosen as the target, it will effectively be signalling that the coffers of the GSF warmachine are still full, as they do not have anywhere near the riches to look at replenishing a depleted warchest. Instead, a conquest of these regions would be one done specifically to spin a punitive narrative, and put them as far away from the MBC-held territories as they can reasonably hope to get. The far-south is barely worth mentioning as a target. Whilst Paragon Soul, Esoteria and Fethyabolis may be ‘acceptable’ regions, they would be a nightmare to hold without owning one of the near-south regions, crippling one of GSF’s most famed assets – their logistical core. In addition, they are currently held by what is loosely considered to be a GSF affiliate in Stainwagon, though their ties are certainly not as strong as with the DRF, it may still dissuade them further. The south-east offers much the same as the far-south, with yet more Russian aligned alliances, only this time with the encroachment of the DRF-Vanguard bloc bearing down on them. Invading this area would force them to pick a side in the war, which is something I don’t expect GSF to do. Doing so would force them to either go against the DRF and prop up a failing friend (Stainwagon), which is a terrible narrative with which to rebuild an alliance’s confidence in its leadership, or align themselves with Triumverate, an alliance which – whilst not the most prominent – was a significant participant in the MBC. As neither of these options are beneficial to them, or ideologically acceptable, and the possibilities of successfully entering in as a third party are slim to none, I would expect GSF to stay well clear of this area. The far-east holds a little more promise, with Insmother and Detroid both offering a potentially stable home, but once again it would require stepping into an existing conflict, with all the politics that entails. However, if GSF can convince the DRF to back off and leave Vanguard to its own devices, there could be an interesting war of two fronts as the resurgent GSF attempts to wrest a new home for itself while Stainwagon fights for its life in the South-East. GSF has seen how effective pressuring several locations at once can be during WWB, and I expect that they would emulate those tactics given the chance. The near-east is a much more interesting prospect for expansion, with Scalding Pass and Wicked Creek both being inhabited by primarily independent and relatively un-coordinated entities. With Curse offering a perfect jumping off point, this is a surprisingly attractive location for the rebuilding of the GSF’s morale, in much the same way as the near-south offers. Attacking the north-east would risk alienating what has to be the last – if not blue – then politically neutral entity on the map with regards to the DRF, as such I don’t see that happening unless the GSF makes a critical blunder in assessing its political situation. So, in all likelihood, the GSF is heading South. The most likely destinations being – in my opinion – Delve, Providence or Querious. There is a chance that the GSF becomes involved in the ongoing Eastern War (which has been so far hilariously overshadowed by WWB in terms of coverage), but I do not think it is likely that they will do so for simple narrative control. They need to set themselves up internally as the masters of their own destiny, struggling against a hostile universe, and crashing with failing allies and trying to patch them together doesn’t hold that image for the line members. But, wherever they end up, there are interesting times ahead here, not just for GSF and their tag-alongs, but for the political makeup of the whole of New Eden. 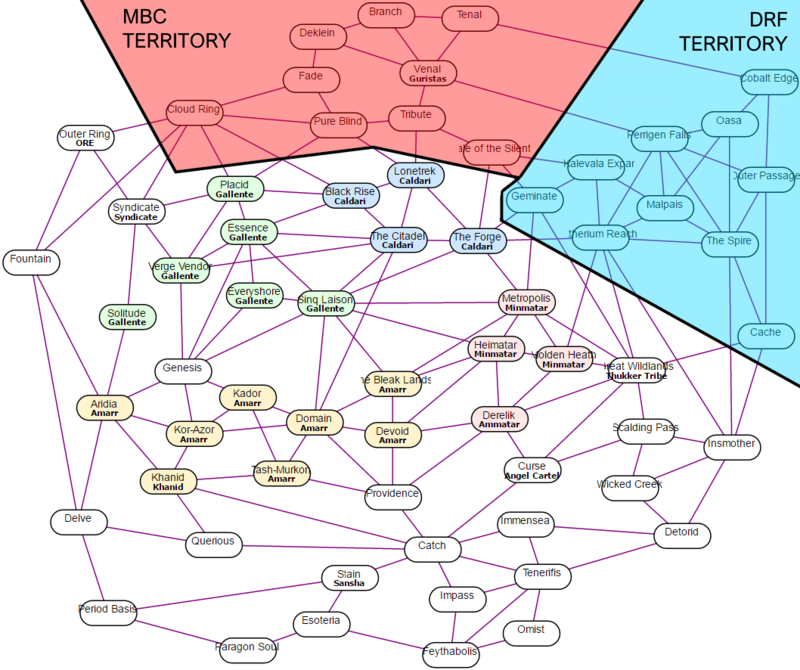 With the single threat that unified the MBC gone, it is likely that certain forces will follow the content, others will stay and hold their new territory, and yet others may wish to expand on their former allies territory. The real question everyone should have right now is not “Where are the Goons going?”, but “What is the MBC doing?”. If they begin to blue up and coalesce into a politically unified entity, we may see The Mittani’s prediction of a ‘He who fights monsters’ event coming true. With Pandemic Horde and TEST currently as the top dogs in the area this is currently unlikely. However, if they make a move down to follow the GSF, dominance will be handed back to Sort Dragon, whose political ambitions and scheming are much less well understood. Only time will tell exactly what he has planned for the region in the absence of these less rational actors.